The Florida Mall, a Simon property, has announced an exciting new family programming series created in collaboration with Disney Junior called Disney Junior Play Date that will kick off with an event that will be held on Tuesday, October 31st from 5 to 8 pm during their Mall-o-Ween event. 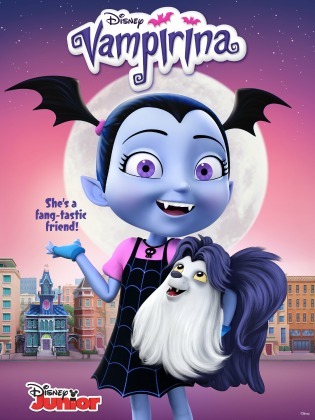 During the Disney Junior Play Date Halloween celebration, The Florida Mall will have a viewing station in the Macy’s Court for guests to watch Disney Junior’s newest animated series “Vampirina,” about a young vampire girl and her family who have recently moved from their home in Transylvania to Pennsylvania. There will also be Vampirina activities that included a coloring station, a mad science station, a crafts station, and more. Guests will also have the opportunity to take part in the Mall-o-Ween Trick-or-Treating event at the Play Park. Children of all ages are encouraged to sport their best Halloween costume* to haunt The Florida Mall in search of candy. There will also be face painting, a photo booth, Mad Science experiments, special character experiences, and more. *Costumes should be worn only during event hours and masks are allowed only on children 12 years old and younger. The Disney Junior Play Dates’ events will be featured throughout the year and include on-mall activities around Holiday, Easter, and other seasonal celebrations. Not in the Orlando area? Many of Simon’s best-known properties around the country are participating in this program including The Westchester (New York), Northshore Mall (Boston), Opry Mills (Nashville), Grapevine Mills (Dallas), Woodfield Mall (Chicago), The Florida Mall (Orlando), Del Amo Fashion Center (Los Angeles), Stanford Shopping Center (San Jose), and King of Prussia (Philadelphia).